The Irvine Ranch Conservancy manages nearly 30,000 acres of land within the Irvine Ranch Natural Landmarks. Much of that work is done by the Conservancy’s dedicated volunteers. IRC-Certified Volunteers make up a caring community devoted to the Conservancy’s values and mission, while having fun as a committed network happy to share the beauty and majesty of the land. 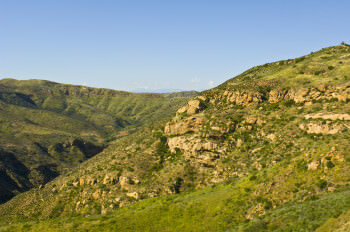 Click here to learn more about Irvine Ranch Conservancy. Irvine Ranch Conservancy volunteers require dedication to the land. These individuals complete a high caliber training program that is a combination of natural history, public interaction, field skills, stewardship, and other naturalist qualifications on behalf of landowner partners. Volunteers are able to choose specific field(s) of focus for their training, including trail guide, docent, trail boss, land steward, farm volunteer, and more. What Does it Mean When an Activity is “Led by IRC-Certified Volunteers”? 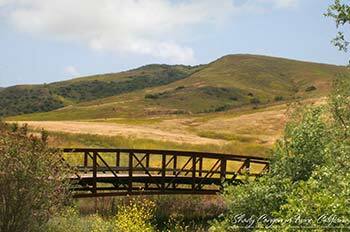 Irvine Ranch Conservancy is the proud stewardship partner for the Irvine Ranch Natural Landmarks. 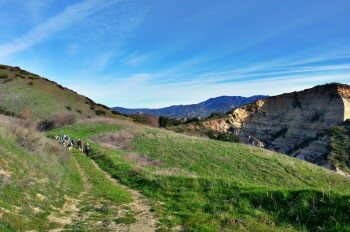 One of the Conservancy’s responsibilities is training and certifying wilderness volunteers for OC Parks, City of Irvine and City of Newport Beach. The IRC-Certified Volunteer Program is thorough, for the benefit of the public and the land. For the safety of participants, all volunteers are trained in CPR and First Aid. Volunteers are specially trained in emergency care techniques for urban wilderness environments, and have passed background safety checks. The Conservancy prides itself on a volunteer program that is both rewarding and challenging. The first step is to become a support volunteer for our hiking, mountain biking, equestrian, trail maintenance, or stewardship programs. This entails roughly 30 hours of education and skills training, including 8 hours of CPR and First Aid certifications. Support Volunteers are encouraged to pursue advanced training in order to become a Lead Volunteer for public programs. The Conservancy offers advanced training in many areas including group management and leadership, mountain bike skills, equine sensory and first aid training, invasive control and native plant restoration techniques. Established in 2005, Irvine Ranch Conservancy is a non-profit, non-advocacy organization created to help care for the permanently protected wildlands and parks on the historic Irvine Ranch. The Conservancy actively manages nearly 30,000 acres of land in partnership with landowners such as OC Parks, City of Irvine and City of Newport Beach. The organization works with its partners to enhance the public’s appreciation, understanding and connection to the land, while helping other land owners and managers with all aspects of stewardship. The Conservancy contributes its resources, expertise and energy to achieve the best possible balance of preservation and public participation.